How I detest parenting seminars. I am sure that if I attend one I will find myself saying “Don’t hit mummy with that stick darling, it hurts mummy’s feelings’ in a pseudo-effort to educate my offspring whilst not damaging his creative skills. I am too selfish. I see no earthly reason why I should suffer bruised shins plus who is speaking out for the stick? Yesterday there was a parenting seminar at our elementary school, Westbrook. I think it is part of a series entitled “Parent Encouragement Program” or PEP for those in the know. I recycled the soothing pale-yellow flyer advertising the event and did even consider going. I am still recovering from yet another terrible Sunday (no Bloody Mary this time) and it would have been a form of escape, however, I did not. Today e-mails are charging through my inbox between people who did not manage to attend, asking those who did for tidbits from the great man’s table. I admit I am like a fly on the wall. I am a little curious and just possibly there is something worth knowing. Something I might bat about for a day or two before abandoning like speaking Italian at home or getting up earlier. On the other hand, what I know to be certain is that at the end of the session the speaker will be financially richer and the audience poorer. The speaker will have succeeded in conjuring up an evanescent moment of we-can-do and buoyed up by it, one or more of us, will have forked out for another book or DVD to add to our donation pile. Given that this is the only certain outcome I refuse to collaborate in subtracting any further from my life and giving Mr Has-it-All anything. Next, I know that I am not in control and that I am almost certainly not a good parent but I see no reason to advertise this in public in front of some smug guru. Today Alexander told me that if I would not let him play with my iPhone (which he is quick to remind me ‘Is not a toy”) then he would not let me to play with Eleanor’s hamster. Eleanor does not even have a hamster. Yesterday he plunged my iPod into a mug of water so absolutely no iPhones on offer, ever … or realistically, at least not for the next few days whilst the memory of my fury lasts in his small brain. Anyway, why is it that some of the most famous parenting gurus have never had children? One blessing of living in the US is that no one has ever heard of The Contented Little Baby by the dreaded Gina Ford. I gather that she has even written a new book called The New Contented Little Baby which is bad luck for those babies who were born a year or two too early. This woman is unbelievably successful and has never had a child or probably changed a diaper/nappy. Anyway I refuse to give her any money either. The very title makes me want to vomit whilst also evoking frightening images of the Deltas or is it Epsilons in a Brave New World who are kept so content and flaccid that they never strive for anything and are happy to languish as society’s mopper-uppers. I am, on the other hand, all for the alternative title – The Contented Mother which is begging for an author. I recently offered the following advice to a friend who finds herself with child and expecting in February: a glass of wine at Kid’s supper/Children’s tea time makes you a much better, funnier mother. A glass of wine from a party bottle/magnum is even better as one can firm up one’s breast muscles with the vacuum pump. 750ml bottles do not allow for a sufficient work out. Note: remember to switch arms or you will end up lopsided. This entry was posted in Uncategorized and tagged British Legal Alien, Family and Relationships, Gina Ford, Parental Drivel, Parenting Seminars, Washington DC. Bookmark the permalink. 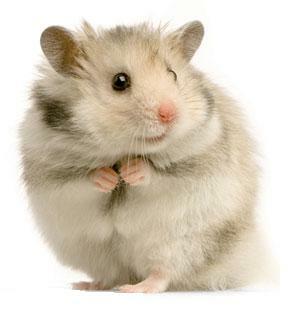 Hee hee, one more comment… I love Alexander’s imagination, fancy a hamster! When I was little, we had a dreadfully annoying little plastic robo-hamster that would squeal and spin in circles. The hamster image that accompanies this anecdote made me remember that. Definitely no iPhones on offer here, I was playing some music for Eleanor and Rosalind to dance to (“One” from A Chorus Line was a particular hit I recall) when I noticed a few sticky fingers reaching for the case. A quick swiping movement and the unharmed iPhone now sat up on the cupboard, far above Puffy’s 3 feet. My father the tech guru wonders if the iPod has bitten the dust, mine has survived a few falls and much overuse by Nellie. Anyways, welcome back from Ohio! “Next, I know that I am not in control and that I am almost certainly not a good parent.” Hmm, I quite disagree… as I remember all 3 rushed to your car at 11:40 this morning with looks of rapture and excitement. That as well as the fact that you managed to procure several entertainment ideas that were smash successes (“I want to be a lion!” Puffy proclaimed- hence the paper lion mask after Eleanor’s incident with the blue face paint) versus our morning down the block which was spent cuddling the dog and lazing about in our pjs. From what I can tell, you are a wonderful parent. Just my 2 cents… but quite frankly I have no parenting experience, so I am most probably out of my league! I am in agreement with Rachel. Looking forward to seeing you in – what we call in Germany – between the years.